This company was founded in 1999 with the purpose of adding value and export indigenous hardwoods from Southern Africa. 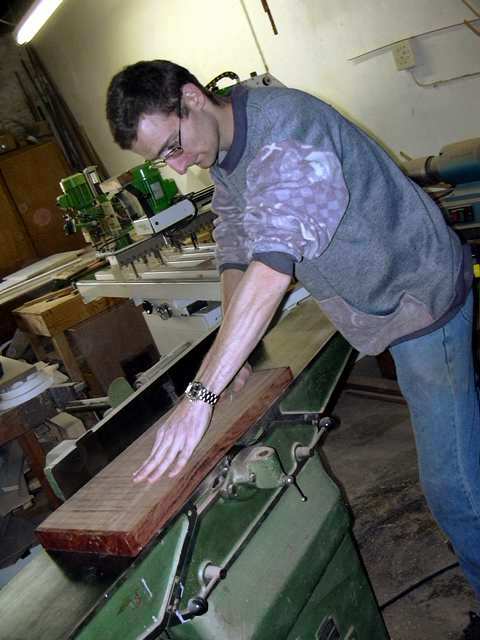 At present, we employ a team of Wood Technologists, Economists, and Wood working machinists in South Africa. 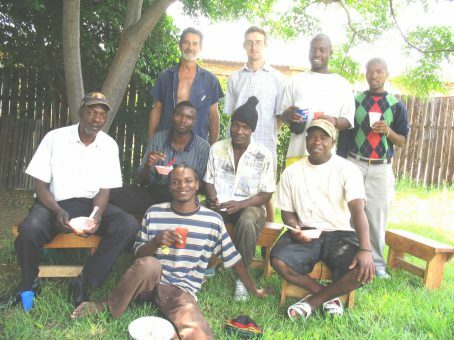 Our activities and supplies extend to Zimbabwe, Zambia and Mozambique. Further countries in Southern and Central Africa are investigated for opportunities. Our saw mill is located on Summit Road (R 562), West of Midrand, Gauteng Province, South Africa. We are fully dedicated to nature conservation, sustainable harvesting and processing for the benefit of the local communities, in terms of job creation, training and socio-economic development. ProSono fully adheres to the principles of www.cites.org on the protection of endangered species. 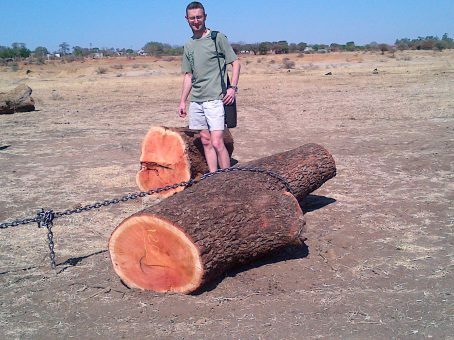 We care for the best added-value and consequently won’t export logs or any unprocessed timbers outside Southern Africa. For ten years and more we have been co-operating closely with five national distributors in the USA, UK, Germany, Japan and Spain. Our co-operation has included among others, the extension of our product range, the optimisation of our storage capacity to respond to demand in the shortest possible manner and the fine tuning of our pricing to be competitive. Philippe Monbaron: Lic. HEC and MBA – IMD. The founder of the company is originally from the French part of Switzerland. After 20-year experience with multinationals companies in Europe and Africa in Pharmaceuticals, Agro-Chemicals and Banking, started ProSono and never looked back! Philippe has 35-year experience in international trade, finance, marketing and sale. He is fluent in four languages. 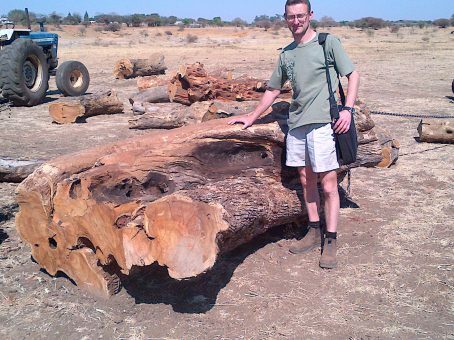 Etienne Du Plooy: Wood Technologist – SAASVELD – Faculty of forestry. He joined Philippe 17 years ago. Experienced in all aspects of the wood industry, forestry as well as saw mill management of small and larger teams in a multi-racial context. 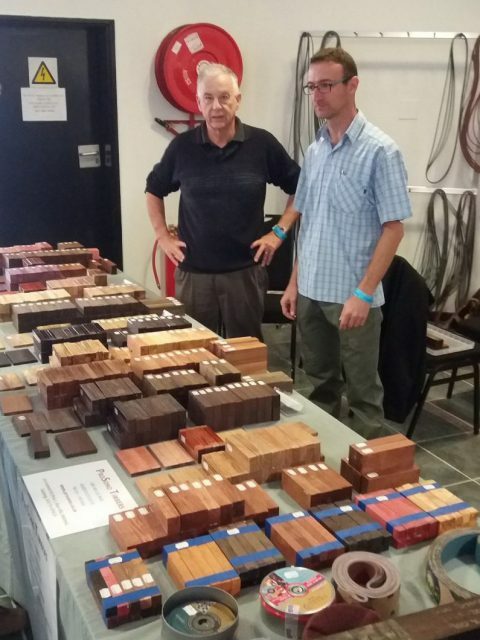 He is especially gifted in wood selection, processing and selling to the South African community. He is the driving force behind Caracal knifes. He works closely with CITES and DAFF for nature conservation and permits. ProSono values the input of customers for their experience and comments about the wood species we commercialise. Over the year’s applications have been identified in the musical industry, especially for guitar back and sides, and jewellery.